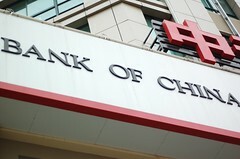 Are China’s banks having a "good crisis"? Indonesia's $100 billion budget: Is debt an issue? I have received many encouraging responses to my first blog. Thank you. This time, let's look at Indonesia's budget. Last year, Indonesia's budget reached the magical threshold of US$100 billion. In terms of big newsworthy events in Asia, one of the biggest has to be the anti-government protests in Thailand. A relatively small number of protesters dramatically caused the cancellation of an ASEAN+3 meeting held in Pattaya this past weekend where 10 regional heads of state were evacuated. The World Bank President, as well as the head of the IMF and UN, were turned around at the airport in Bangkok. Although the protests around the country have effectively ended after martial law was declared and two protesters died, the damage of this may be longer-lasting. Although a discussion of the politics would be interesting, let's concentrate on the finance-related issues.